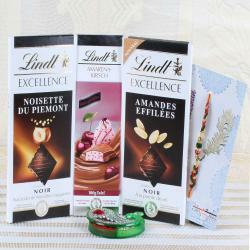 Product Consist: Lindt Tiramisu Chocolate (Weight: 100 gms), Lindt Excellence Arabica Intense Chocolate (Weight: 100 gms), Lindt Lindor Extra Dark Chocolate (Weight: 200 gms), Charming Beads Rakhi along with Roli Chawal Container. Raksha Bandhan is one of the fantastic Hindu festivals that are celebrated in Nepal and India. 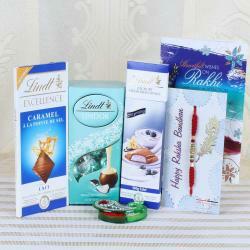 Sharing rakhi and chocolate gifts to your brother or sister is the exciting parts of this Hindu festival. 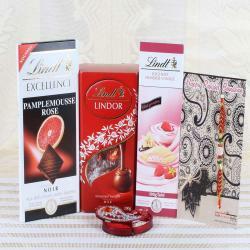 Gifting chocolate and rakhi combo to your sister or brother will be the best idea to celebrate the moment and fill sweetness on this day as well as the relationship. 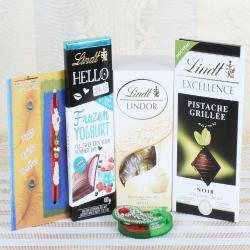 Most of the leading online sites have many collections of chocolates and rakhi. So, choose the best sites and buy the combination of rakhi and chocolates and present it to your brother on this auspicious day. Online shopping is the best idea for purchasing rakhi to your brother for Rakshabandhan. 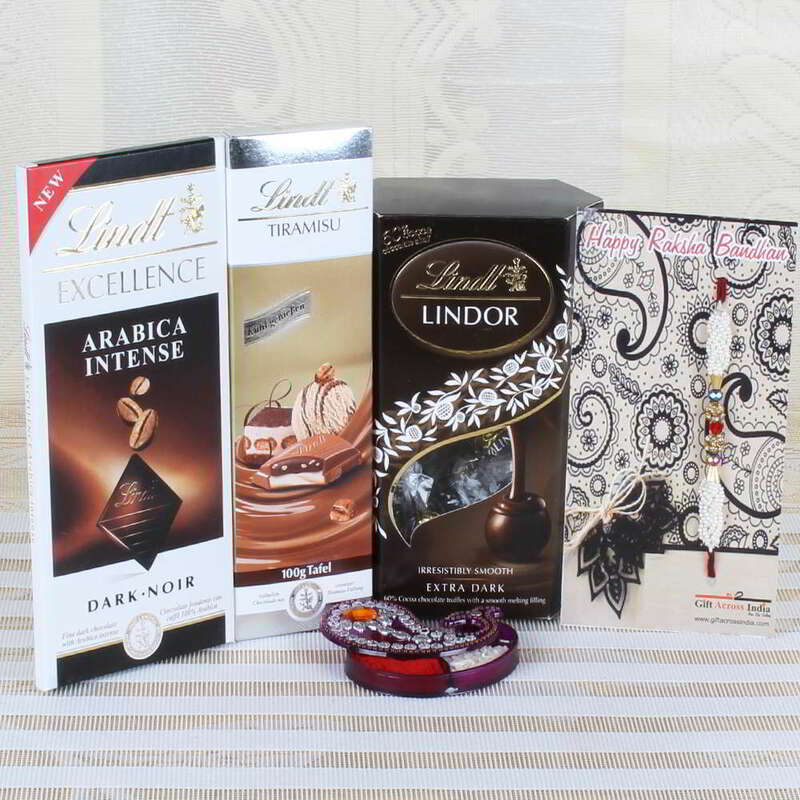 Product Consists of: Lindt Tiramisu Chocolate (Weight: 100 gms), Lindt Excellence Arabica Intense Chocolate (Weight: 100 gms), Lindt Lindor Extra Dark Chocolate (Weight: 200 gms), Charming Beads Rakhi along with Roli Chawal Container.